Amaravati: The Andhra Pradesh government Tuesday decided to launch an awareness drive about the precautionary measures to prevent the spread of swine flu in the backdrop of the likelihood of higher occurrence of seasonal influenza due to the onset of winter. Special Chief Secretary to the Chief Minister, Satish Chandra, held a teleconference with District Collectors and senior health officials and directed them to conduct a mass awareness campaign to help people secure themselves against the flu. Cleaning hands, drinking more water and wearing face masks could help prevent the infection. The state health department said the number of swine flu cases fell drastically during January-October this year, compared to the corresponding period last year. 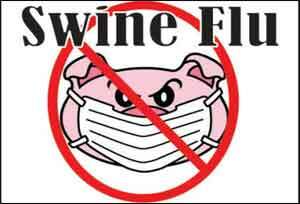 During the period this year, only 128 positive cases of swine flu were reported in the state as against 476 last year. Visakhapatnam district accounted for the highest number of swine flu cases (37) this year, followed by Chittoor (31) and Kurnool (25). In his interaction, Chandra said since a lot of people visit the state daily from neighbouring states such as Chhattisgarh, Odisha, Telangana and Karnataka, steps should be taken to prevent the spread of swine flu through the floating population. As the flu could spread fast where there was the heavy congregation of people, he asked the authorities to put up boards listing the precautionary measures. He also asked the health authorities to open isolation wards in hospitals to treat the flu-hit patients. The Special Chief Secretary instructed the municipal authorities to focus on sanitation upkeep in urban areas. Health authorities informed that special screening camps were being conducted in all major railway and bus stations in the state as well as Visakhapatnam, Vijayawada and Tirupati airports.